The Tuohys adopted an at risk young man and clothed, fed and educated him. 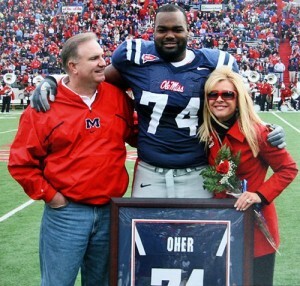 The young man, Michael Oher, attended college and became a pro football player for the Baltimore Ravens. The film “The Blind Side” was adapted from a book by author Michael Lewis “The Blind Side: Evolution of a Game”. Please visit www.communitasawards.com for printable nomination forms and information on how to nominate a deserving individual and/or business.